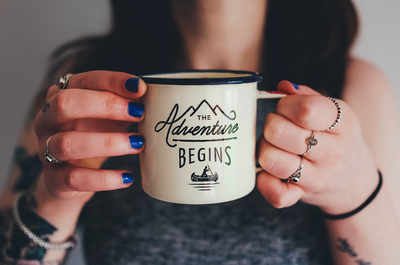 Here you will find information about upcoming events that involve fundraising for other charities! Below are the reports from events that have took place and raised funds!! Thanks to all organisations and their members for donating to such worthy causes! 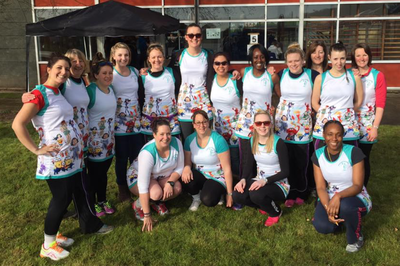 ​Corby Netball Club held a Netballathon on Saturday 22nd October at Corby Business Academy. 24 adult and junior teams played nonstop netball for 12 hours including one team who hadn’t played netball for 8 years. The tournament was organised by Hazel McConnell and her team of volunteers who played, umpired and kept the teams on the go for 12 hours. 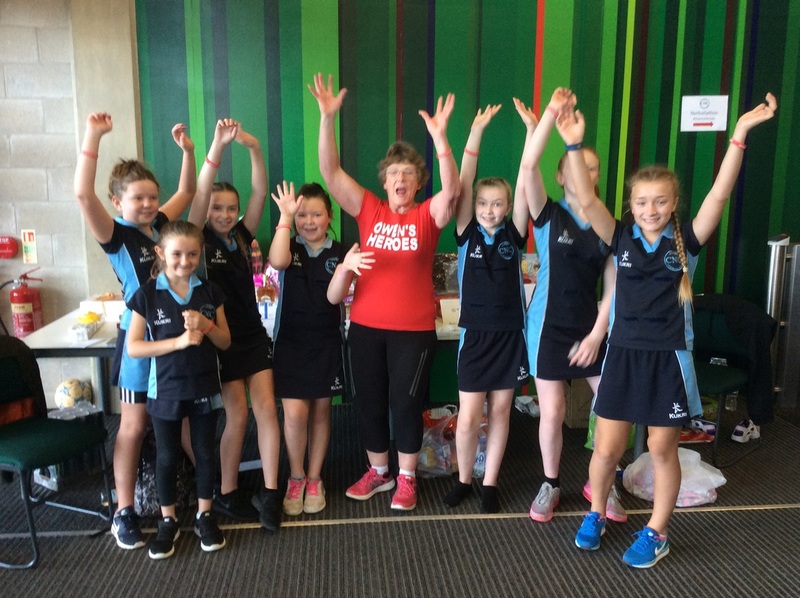 Hazel said ‘We had amazing support from parents organising refreshments, raffle and tombola with many great donations of raffle prizes from local businesses and parents, the day was a huge success’. The club raised an amazing £2843.75 for a local 7yr old boy Owen Trickett who has MECP2 Duplication Syndrome. The money raised will go towards the purchasing of ‘Eye Gaze’ technology which will help him to communicate with his family. Corby Netball Club would like to thank everyone who helped make the event a great success. 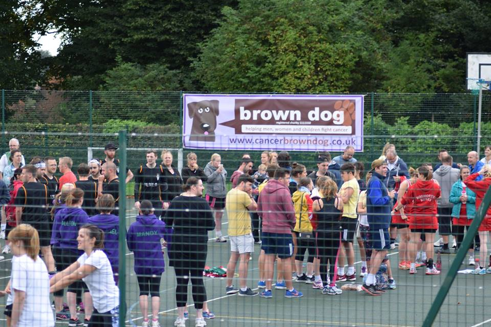 On Sunday the 4th September over 120 people took part in a netball tournament to raise money for Brown Dog Cancer Charity. 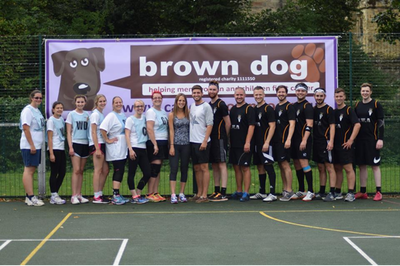 Men and women of all ages and abilities gathered at Ashby School outdoor netball courts to compete in numerous netball games in order to contribute towards the Brown Dog Women’s Cancer Appeal 2016. Each year has a different focus, and this year the target is to raise £30,000 so that they can provide Leicester General Hospital with a Volusion S8 Ultra Scanning Machine which will be used to scan over 200 ladies per month to provide early detection of womb, cervical or ovarian cancer. £1,435 was the total amount raised on the day. Event organisers Sam Carline and Martha Storer stated, ‘We are absolutely delighted with how the day has gone. We could not have done it without the support from the volunteer umpires, Ashby School, Saffron Catering, the players and the continued backing from family and friends. It speaks volumes of the people who are here today, as many of them have been competing at the tournament since the first event 5 years ago and are still showing the same enthusiasm!’ Martha and Sam plan to organise another tournament next year and look forward to welcoming and meeting even more new teams! 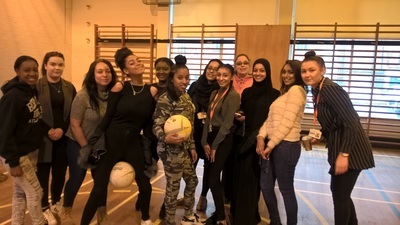 On Sunday 24th April, Players Netball Club hosted their 3rd annual charity netball tournament at Carlton Le Willows School in Nottingham, to support the fantastic work that the Macmillan Charity carries out every year. 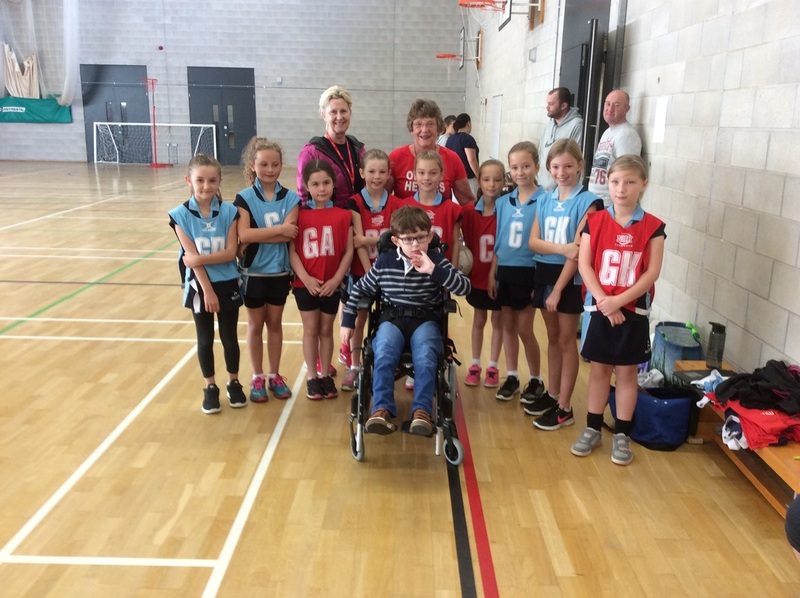 We had 24 teams enter from Nottingham, Derbyshire, Lincolnshire and one came all the way from Blackpool (thank you Elite Netball Club). 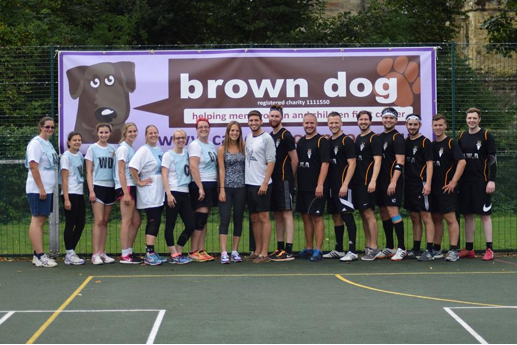 It is the largest Senior tournament in Nottingham and we base it’s success on being open to any team, from back to netballers to regional players. 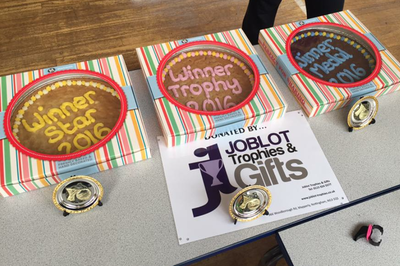 The tournament was split into three sections, Star, Trophy and the Medal competition. 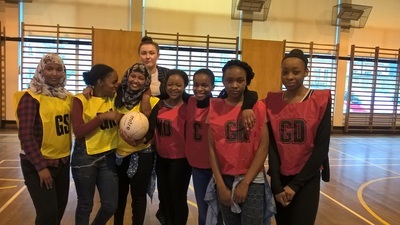 We saw some fantastic netball, great sportsmanship, laughter and there was an amazing atmosphere! Congratulations to the winners of each section, we’ll see you next year to defend your titles! We sent out our scouts on the day to find a player of the tournament, there was a lot of competition for the title but it was awarded to Ellie Trot from Sirens Netball Club, well done Ellie and enjoy your year’s supply of hair products! 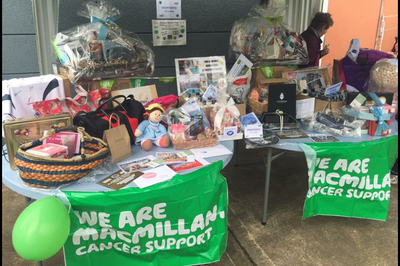 Alongside the tournament, we ran a fete that included a BBQ, cake stall, teddy tombola, Boots goody bags, face painting and a big prize raffle. It’s all to raise as much money as possible for Macmillan. This year’s top prize was a holiday and was won by a very happy Tornadoes player – we hope you enjoy it! We’d like to thank every player, umpire, volunteer and supporter for their generosity and good spirit for Players NC and Macmillan. The tournament would not have been as successful as it was without you. We’re very proud to announce that the total amount raised for Macmillan was over £2500. 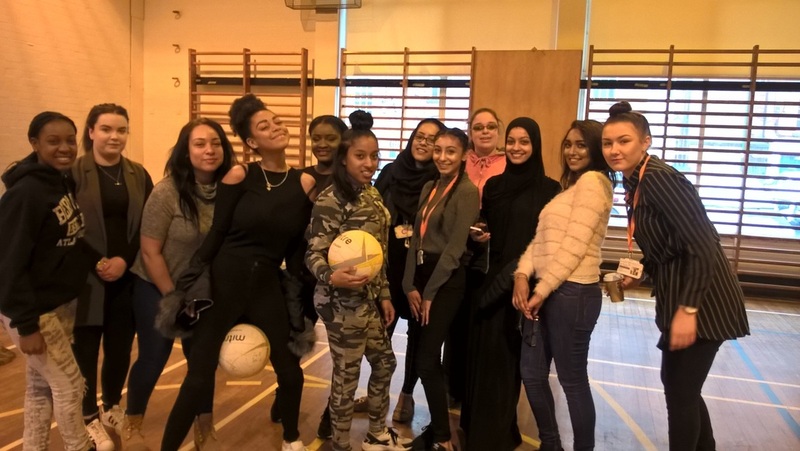 Stickney B2N Raise £100 for Comic Relief for International Women's Day! 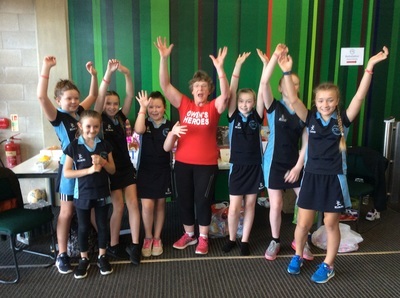 Stickney Back to Netball group has marked International Women’s Day with a fun event to raise money for Comic Relief as part of the This Girl Can campaign. 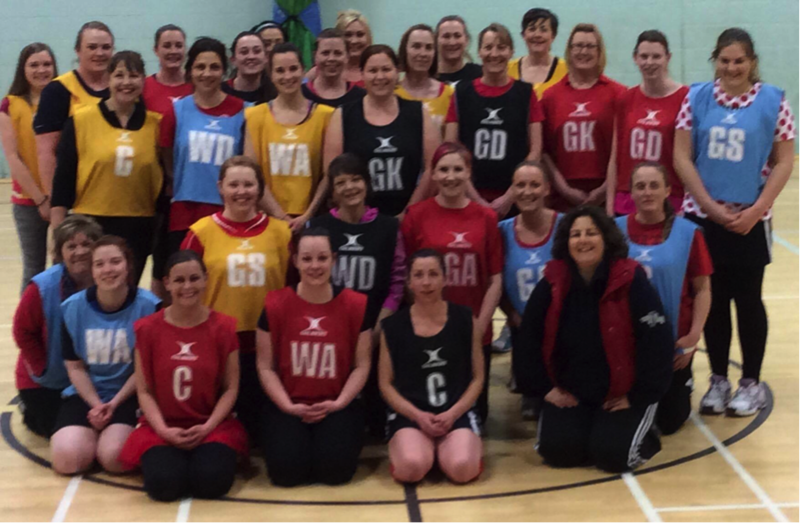 The event, promoted by Lincolnshire Sport saw thirty one ladies turn out to play on Tuesday night. 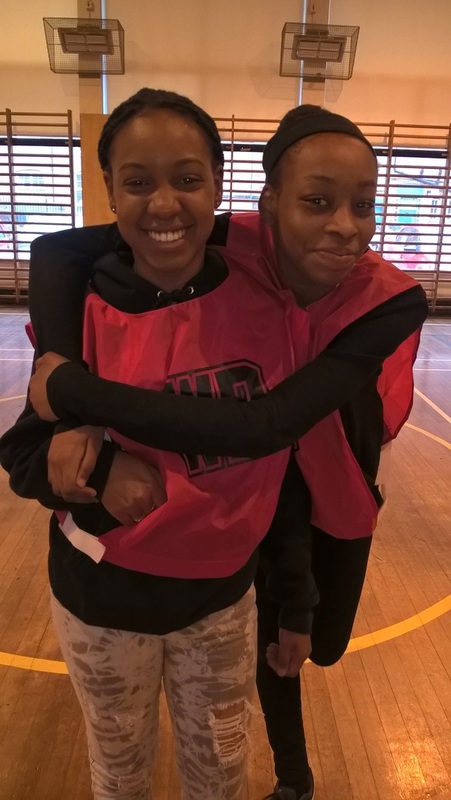 The evening started with a fun game of netball rounders to warm up. The ladies were then split into four teams to then play two versatility matches in which a total of 42 goals were scored. 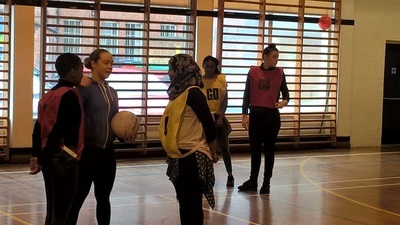 Each goal meant a donation of a £1went to Sport Relief. 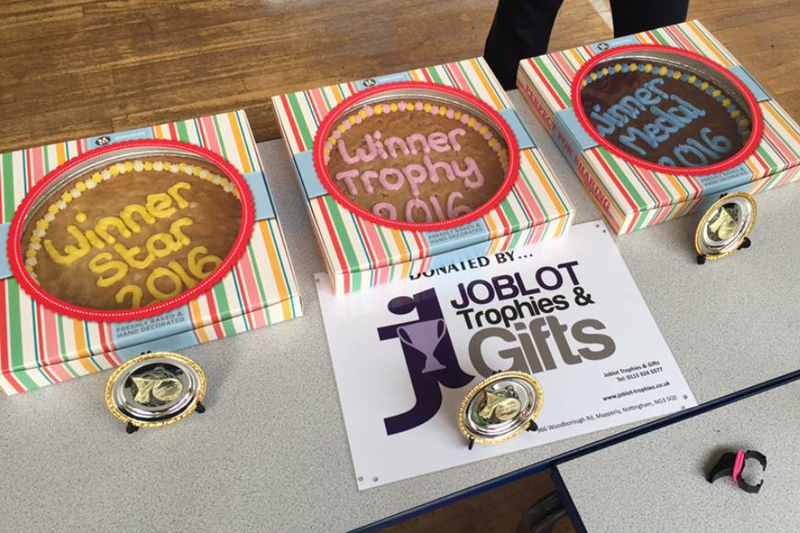 At half time there was a cake sale which also raised a further £58 which gave a grand total of £100. 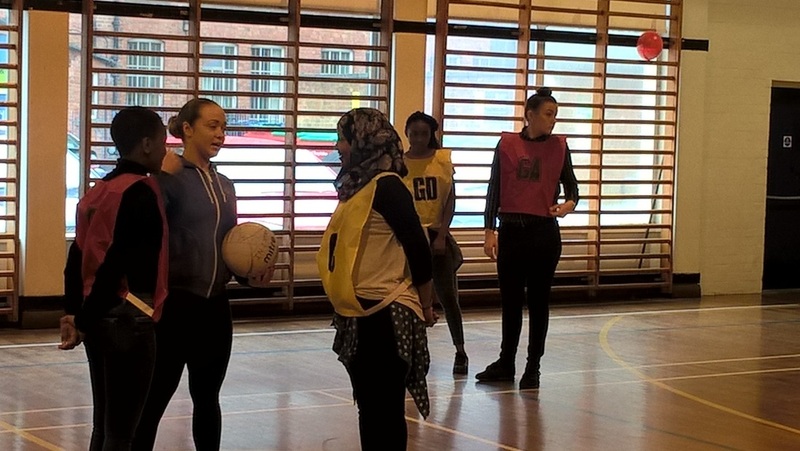 B2N League and the Sports Department at Central College teamed up to get over thrity girls to take part in the Sport Relief netball event! 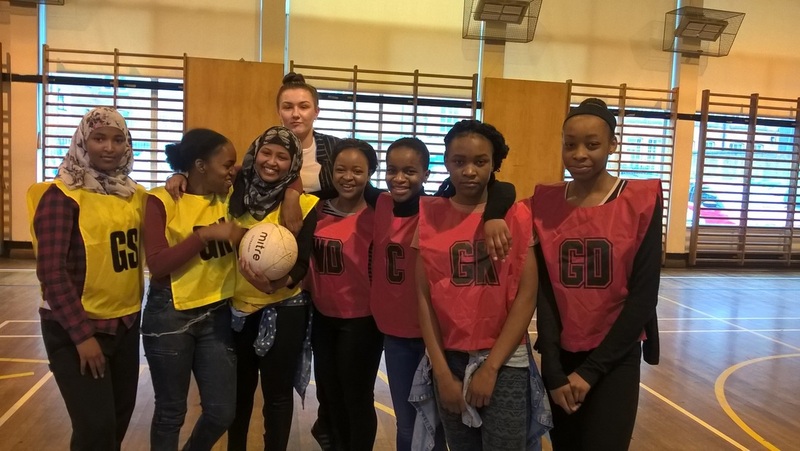 The girls all come from various religious and cultural backgrounds and many had never played netball before. 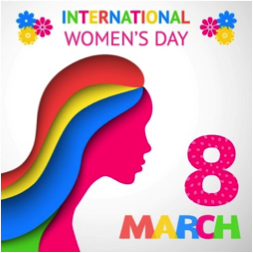 ​The event also tied in with International Women's Day and inspired many to take part in more regular sporting activity.